The 4K HDMI extender over IP or fiber optic cable is a solution for audio, video and USB signal extension via Local Area Network (LAN) or fiber optic cable. 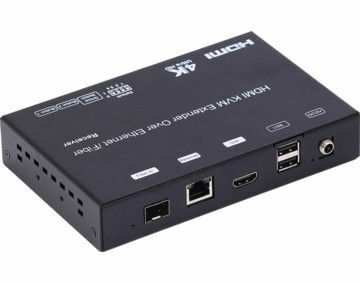 It can be used as audio, video and KVM extender over IP and applied to point to point, point to multi-point, multi-point to multi-point and screen wall broadcast system controlled by USB, RS232, IR and configured the 4K HDMI & USB over IP Extender by web browser. 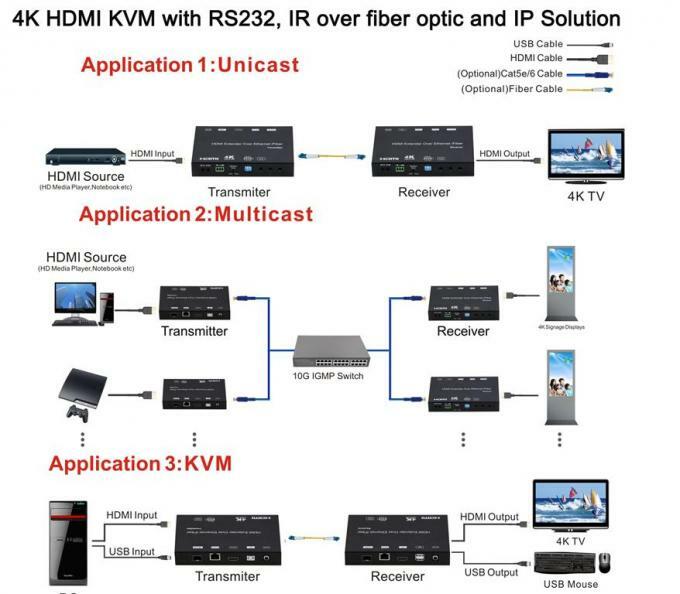 An easy installation system built up with Giga Ethernet switch which has IGMP function and CATx cable for extension or broadcast.